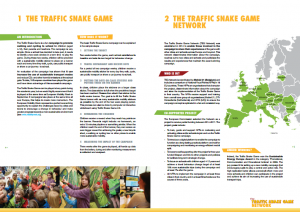 The Traffic Snake Game Network ‘Final Publishable Report’ summarises and presents the results of the EU-supported Traffic Snake Game Network as an EU-supported project (02/2014-02/2017). It also invites interested stakeholders to join the campaign in the future. Besides an introduction to the Traffic Snake Game and the Network, this brochure illustrates how the project ran in the 18 consortium countries. As such, we show results and lessons learned both at international as on national level. 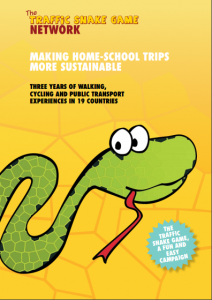 The Traffic Snake Network will continue to function as an observatory that disseminates, supports and monitors the Traffic Snake Game worldwide. 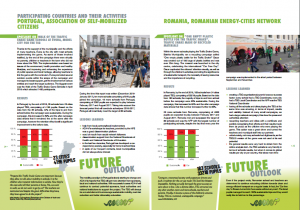 Please download the brochure here: TSG Network_Final Publishable Report (February 2017), below you can find an impression of what to expect. You can also watch a 4 minute summary animated video at the results page.